J.P. Crawford finally put together a solid outing in triple A.
J.P. Crawford finally had a breakthrough moment. On Saturday, the Phillies once highly touted prospect gave the IronPigs (78-53) their first International League North Division championship with a walk-off single en route to a 2-1 win over the Scranton Wilkes-Barre RailRiders. Crawford had been hovering around .100 since joining the IronPigs off the disabled list earlier this month. 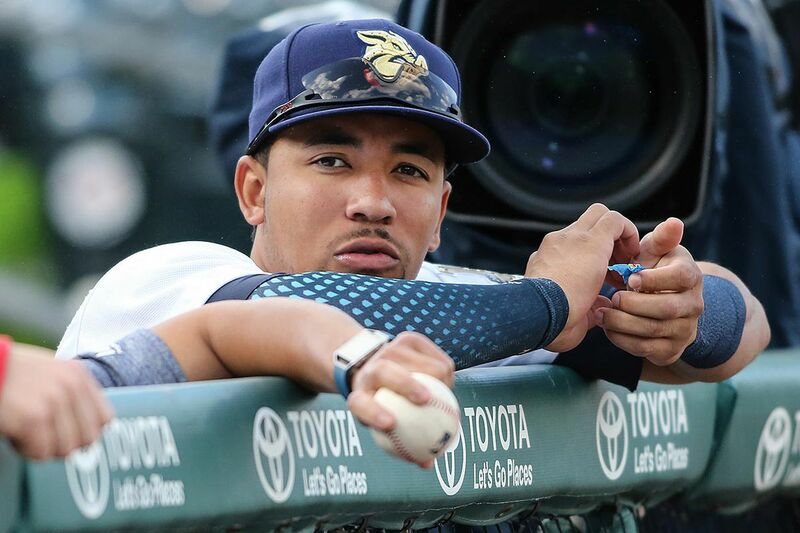 Crawford's struggles were so apparent that the RailRiders intentionally walked IronPigs infielder Dean Anna to get to the shortstop. Crawford made them pay, though, getting his second hit of the night. Pedro Beato earned the win for the IronPigs, and Danny Ortiz homered in the seventh. The triple-A playoffs will begin on Sept. 7.